Pope Francis says the recent spate of hurricanes should prompt people to understand that humanity will "go down" if it does not address climate change, and history will judge those who deny the science on its causes. 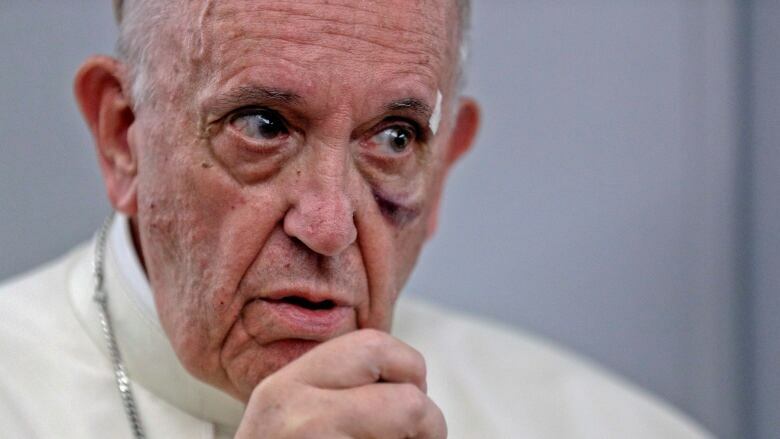 "If we don't turn back, we will go down," Francis told reporters on Sunday on the plane returning from Colombia. Francis strongly backed the 2015 Paris agreement on reducing global warming — a pact that the United States withdrew this year. 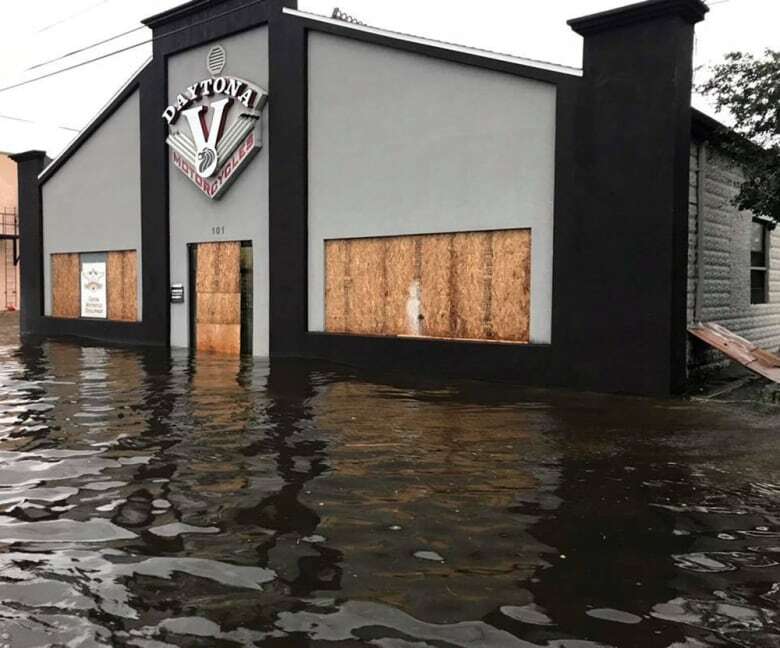 Francis spoke as hurricane Irma pounded central Florida, carving through the state with high winds, storm surges and torrential rains that left millions without power, ripped roofs off homes and flooded city streets. Francis was asked about recent hurricanes, including Irma and Harvey, and if political leaders who do not want to work with other countries to stem global warming, they should be held morally responsible for future effects on the planet. "You can see the effects of climate change, and scientists have clearly said what path we have to follow," he said, referring to a consensus by scientists that global warming is caused by human activity such as fossil fuels. "All of us have a responsibility, all of us, small or large, a moral responsibility. We have to take it seriously. We can't joke about it," he said. "Each person has their own. Even politicians have their own." Ahead of the Paris summit in 2015, Francis wrote a major encyclical, or papal letter, on the care of the environment that backed the gradual elimination of fossil fuels to stem global warming. The accord, agreed on by nearly 200 countries, aims to cut emissions blamed for global warming. The United States committed to reducing its own by 26 to 28 per cent, compared with 2005 levels, by 2025. Many world leaders criticized Trump for pulling out. "If someone is doubtful that this is true, they should ask scientists. They are very clear. These are not opinions made on the fly. They are very clear. Then each person can decide and history will judge the decisions," he said. U.S. President Donald Trump withdrew from the Paris agreement soon after visiting the Vatican in May. The Vatican had urged him to stay in the accord. A Vatican official said at the time that the U.S. move was a "slap in the face" for the Pope and the Vatican. White House Press Secretary Sarah Huckabee Sanders was asked at a briefing Monday on disaster relief if Trump has given any thought to reviewing his decision to leave the Paris accord. She responded she is "not sure" and that for now his administration is focused on relief efforts.